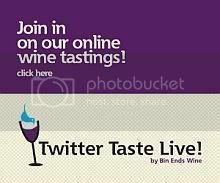 Most of you reading this will have heard by now that Robert Mondavi, patriarch founder of the Robert Mondavi winery enterprise, died on Friday, May 16, at the age of 94. By the time this article posts to the web, there will probably be hundreds of well-written obits. available on the Internet. Most of them will talk about how Mondavi literally redefined the world of winemaking by taking his (at the time far-flung) vision of putting California on the map as a fine wine locale - and making it a reality. Most of them will talk about his charitable giving, and focus in his later years on establishing vital centers for the progression of art, food, and wine, most of which is chronicled in the book Harvests of Joy. But I don't think too many will venture into the Dark Side of Mondavi. How he squandered the family enterprise, for example, or how his lavish giving my have contributed to the downfall of his family-run business empire. And you know what? That is totally okay by me. Because for every single thing that Mondavi screwed up, he did about one thousand things right. 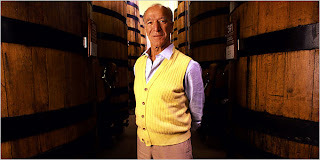 Mondavi's place in the world wine lore of history would be solidified if he was remembered only for establishing one of the world's most successful wine businesses. But when you factor in that he literally conceived of - and then implemented - the modern CA wine industry, taught the U.S. how to make low-cost, high-volume wine of consistent quality, actually made friends with the French, and almost single-handedly introduced wine into the lexicon of the idea of "fine living" in the U.S., you have something else on your hands entirely. For every single thing that Mondavi screwed up, he did about one thousand things right. You have a veritable doer of great deeds. A King of the U.S. wine industry. Oh, by the way, he did all of that stuff after he was 50 years old. You know, when most people have stopped working and have moved onto perfecting their golf games. Is there a downside to all of this Kingliness? Sure. Just as George Lucas' Star Wars changed movie-making forever for both good and bad, Mondavi's influence will forever be felt in the world of wine - both in making decent wine accessible to the masses, and in influencing the Parker-ized fruit bomb clones that currently flood the wine market. Would you take that trade off? I certainly would. Seems to me a small price to pay for the wine Kingdom of plenty that Mondavi was able to establish. Now, to the best of my knowledge I've never changed the world. But I imagine if I did, that I wouldn't necessarily be able to predict all of the minor negative ramifications of my good deeds. Can you fault the guy for not being a clairvoyant on top of being the King? It's never too late to do great things. The chasing of Parker scores is peanuts worth of collateral damage compared to that. 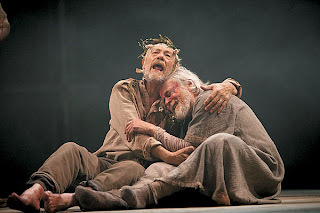 If I had to boil it down, I'd say that the Mondavi era hasn't really taught me anything - at least, not anything I didn't already know from my experience with another "King" - King Lear. In Shakespeare's Lear, the title character redeems his humanity - but only in the moments before his death at a very old age. All Kings die - even the ones that are larger-than-life. But great deeds? Well, those don't slip away quite so easily. From Mondavi, to Shakespeare, and little bit of Elvis in one post. I wonder what his legacy will be as seen from Europe though?! Robert and his wife, Margrit invented Napa Valley - for better or worse - and all the rest is commentary. Thanks for the comments! Regarding Elvis - it seemed more appropriate than Rush, so I went with it :-). Cheers!